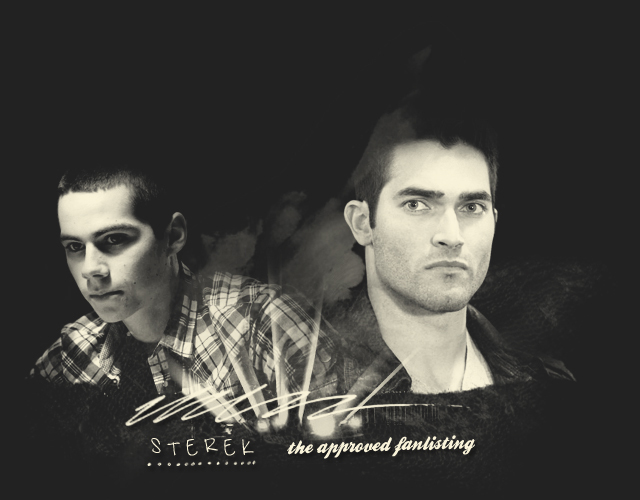 Hello and welcome to Sterek the TheFanlistings.org approved fanlisting for the relationship between MTV's Teen Wolf characters, Stiles and Derek Hale. Stiles is played by Dylan O'Brien, and Derek is played by Tyler Hoechlin. This fanlisting is dedicated to these wonderful characters' anti-friendship, partnership in crime and all-round relationship - and although may sound somewhat slashy, is not necessarily so... Hell, who am I kidding! Want to view fans or join this fanlisting?